This book illustrates TQM concepts as they apply to service organizations where a product may or may not be involved. It addresses nine key management areas including cultivating relationships with customers and capacity management. Frank W. Davis. Jr and Karl Manrodt are both Professors of Marketing, Logistics and Transportation, University of Tennessee, Knoxville, USA. 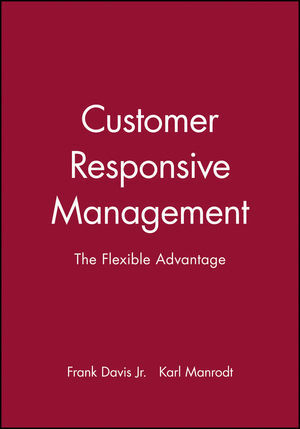 An Introduction to Customer Responsiveness. The Evolving Economic Focus: From Conquest to Relationship. Why Should Organizations Be Responsive?. Customer Responsiveness is Activity Based. The Customer Relationship Management Task. The Evolving Business Focus: Production to Customer Responsiveness.